The Savic Outdoor Dog Barrier provides a simple and effective way to keep your dog safe. See below for the best deal on Savic Outdoor Dog Barrier. Big Savings on Savic Outdoor Dog Barrier! The Savic Outdoor Dog Barrier provides a simple and effective way to keep your dog safe. 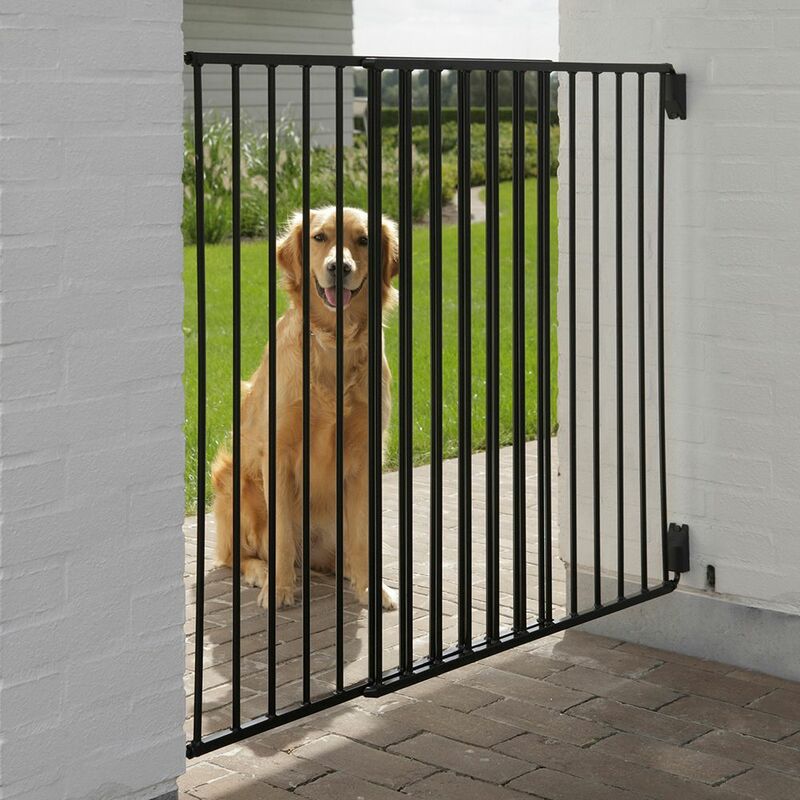 If theres an area of your home or garden you want to stop your dog going into, simply attach the barrier across the entrance, and your dog wont be able to get past it. Your dog will stay safe inside, but can still enjoy the view through the barrier. The barrier can easily be adjusted to fit passages of up to 154cm in width. The bars have a special weather proof coating, making the barrier ideal for use both outdoors and inside your home. The barrier is also equipped with a two-way gate, allowing you to get through easily. The gate can then be securely closed again by simply pushing it shut. The Savic Outdoor Dog Barrier is easy to assemble, and comes with an assembly kit and detailed instructions. It is recommended that you use an electric drill. The barrier is screwed tightly into place, ensuring that your pet wont get through unless you want it to! The Savic Outdoor Dog Barrier at a glance: Height: 95cm Width: 84 154cm Bars: Diameter: 1cm Spacing: 5cm Ideal for garden and patio Can block even wide passages With weather proof coating Solid and secure Also suitable for indoors With integrated two-way gate for people For medium to large dogs Easy assembly Includes assembly kit and instructions Please note: This product cannot be delivered to Northern Ireland! The Savic Outdoor Dog Barrier provides a simple and effective way to keep your dog safe. If theres a.. The Best Deals online for Savic Outdoor Dog Barrier and your essential Pet Supply Products. Order over £29 and get FREE DELIVERY on all orders today. Most orders are processed and dispatched within 24 hours from this supplier (zooplus) and their delivery service partners provide online parcel tracking facilities, active from 2-3 days after dispatch of your Savic Outdoor Dog Barrier order. The suplier 'zooplus' offers International shipping to the countries listed in the table below for shipping on Savic Outdoor Dog Barrier.